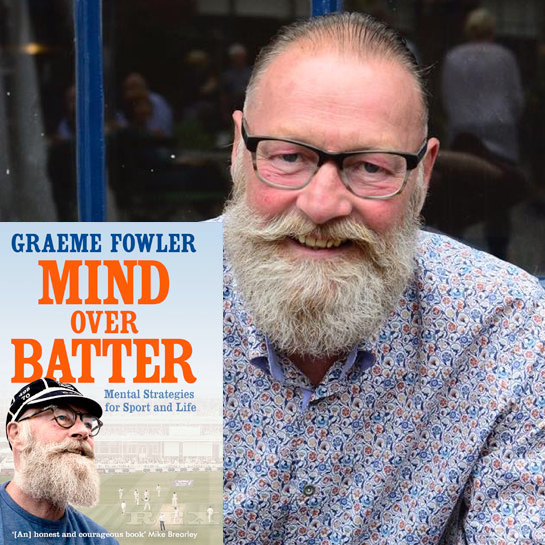 In Mind Over Batter, former Test batsman, commentator and coach Graeme Fowler looks into all facets of the game to assess the mental aspect of cricket. Few sports can be played as much in the mind as cricket. When bowlers are hurling the ball down at your head at 90 mph, or fielders are crowded round the bat waiting to snap up an edge, only the most resilient can thrive. Graeme will be in conversation with his ghostwriter, John Woodhouse. John is a well-respected columnist and feature writer well known for his entertaining, insightful, and sensitive journalism on wide-ranging subjects from current affairs to politics, entertainment and sport.